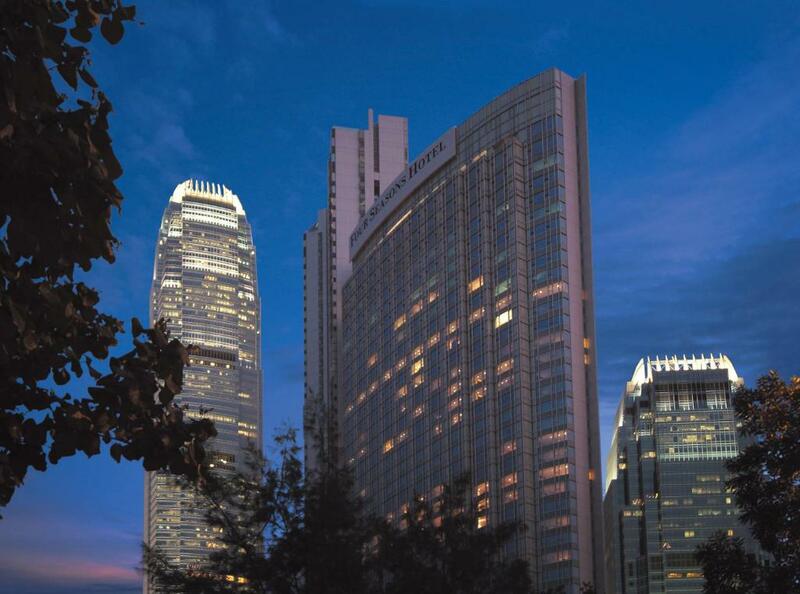 Lock in a great price for Four Seasons Hotel Hong Kong – rated 9.2 by recent guests! Location is very convenient right across the ferry terminals. The beds and pillows were great. Bathroom was perfect with rainshower and all. The amenities were plenty in the room. And what a fantastic view of the Kowloon Bay indeed ! The Harbour view is breathtaking. Please try the spa facilities, pool and indulge in the massage. I have had the best recommendation and therapist! I tried one of their specialty breakfast - Pumpkin Crabmeat Congee, had in the room to enjoy the harbour view. Four Seasons Hong Kong is attached to the IFC Mall and MTR for shopping and exploring Hong Kong. If you’re adventurous you can walk from the hotel via IFC Mall to the Central escalators and SoHo. It is the best hotel . The bed the swimming pool and everything . I got a free upgrade !! And the room was amazing!!! The girl at the front desk was super nice I totally love her!! i had a restful stay, the staff at the hotel are very friendly and welcoming. They are able to forsee my needs and are very helpful. Though I travelled alone, I didnt feel alone in that hotel. The pool is amazing, and the restaurant in the lobby has an incredible, exceptionnal menu that renews itself. Incredibly convenient location, close to Central and the metro as well as the fast train to HKG. Fast Internet access included in the room rate. Outstanding service from a very attentive staff. Beautiful views of the harbor. Elegant room and large bathroom. Excellent toiletries. 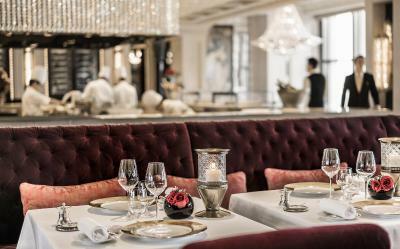 Four Seasons Hotel Hong Kong This rating is a reflection of how the property compares to the industry standard when it comes to price, facilities and services available. It's based on a self-evaluation by the property. Use this rating to help choose your stay! 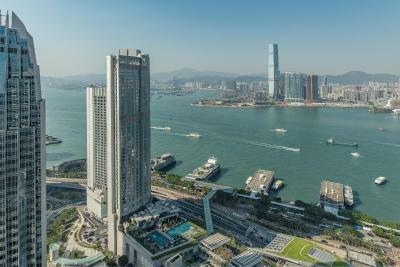 On Hong Kong Island, the luxurious Four Seasons Hotel Hong Kong has rooms and suites with floor-to-ceiling windows offering panoramic views of Victoria Harbour, Victoria Peak and Kowloon and free Wi-Fi. 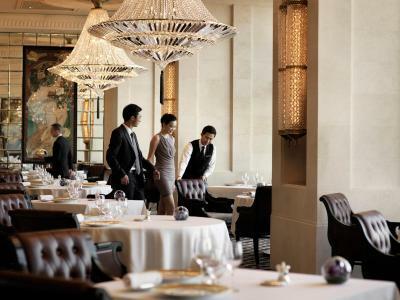 It is home to 2 Michelin award-winning restaurants. Spacious and air-conditioned, all guest rooms are decorated with a fusion of Western and Chinese elements. They include a 42-inch flat-screen TV, a DVD player and an iPod dock. Some rooms include a Nespresso machine or specially formulated toiletries from Paris. The marble private bathrooms include a deep soaking tub and a separate walk-in rain shower. 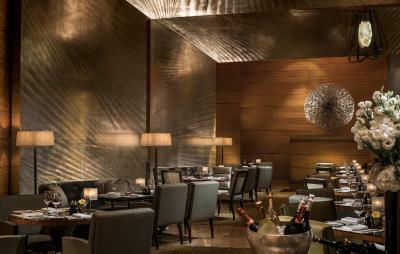 Four Seasons Hong Kong is a 15-minute walk from the trendy restaurants and pubs at Lan Kwai Fong and Soho. 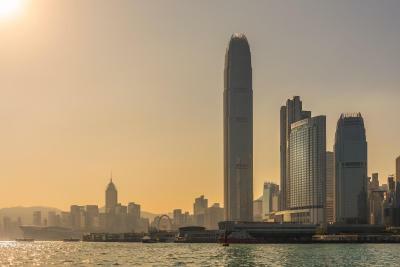 It is within a 10-minute walk from The Central Pier, where guests can hop on a ferry to Tsim Sha Tsui and other islands. 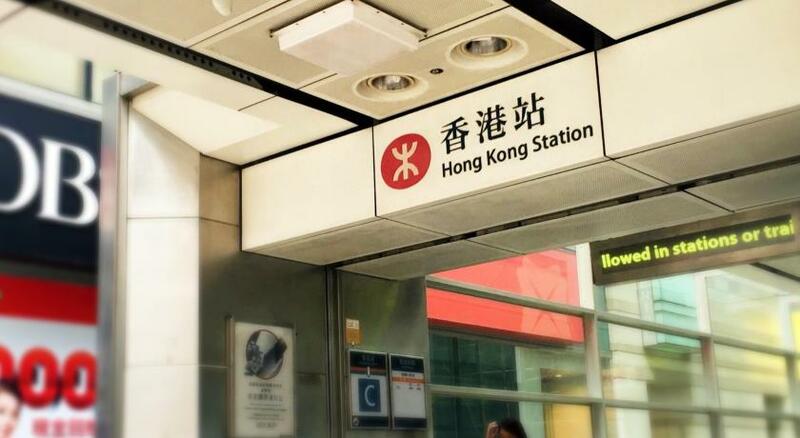 Hong Kong MTR subway station is a convenient 10-minute walk through the International Finance Centre (IFC), directly linked to the hotel. 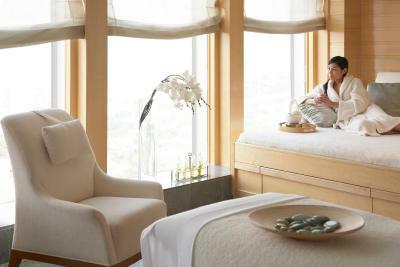 Pampering massage treatments, steam rooms and saunas are available at the spa. Guests can exercise at the 24-hour fitness center, or check email at the 24-hour business center. The hotel also provides laundry and babysitting services. 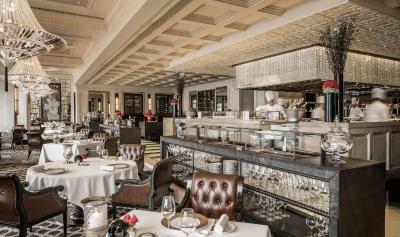 Lung King Heen serves authentic Cantonese cuisine, and Caprice features an open kitchen serving French food. Blue Bar and the Lounge provides a daily breakfast for guests. 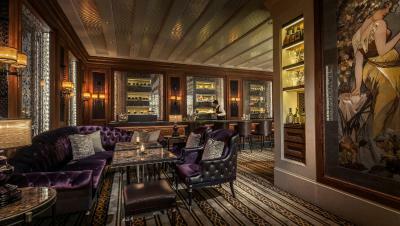 In the evenings, enjoy a cheese and wine pairing experience at Caprice Bar. When would you like to stay at Four Seasons Hotel Hong Kong? Located on floors 9 to 30, this elegant room enjoys views of Victoria Harbor and Kowloon. Includes a flat-screen TV, iPod dock and a coffee machine. The en suite marble bathroom has a deep soaking bathtub and a separate walk-in rainshower. Private parking is available on site (reservation is not needed) and costs HKD 840 per day. On floors 9-32, this elegant room enjoys views of Victoria Harbour and Kowloon. Has a flat-screen TV, iPod dock and a coffee machine. The private marble bathroom has a deep bathtub and a separate walk-in rainfall shower. On floors 9-43 this elegant room enjoys views of Victoria Peak and the city. Has a flat-screen TV, iPod dock and a coffee machine. The private marble bathroom has a deep bathtub and a separate walk-in rainfall shower. On floors 37-41, this elegant suite offers views of Victoria Harbour and Kowloon. Featuring a separate living area, it also includes a stereo system, iPod dock and a coffee machine. The private marble bathroom has a private steam room and specially formulated toiletries from Paris. There is an extra guest powder room. The rate only includes Executive Club access for up to 2 people. Extra charge will apply for additional guests. On floors 9-43, this elegant suite offers views of Victoria Harbour and Kowloon. Featuring separate living and dining areas, it also includes a stereo system, iPod dock and a Nespresso coffee machine. 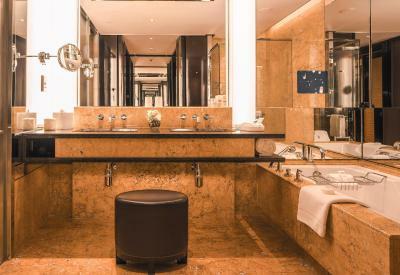 The private marble bathroom provides specially formulated toiletries from Paris. There is an extra guest powder room. 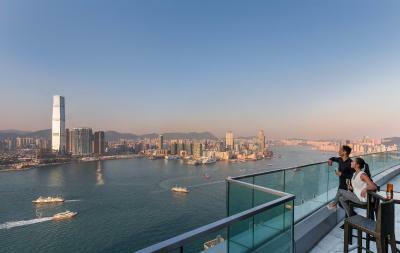 On floors 25-41, this elegant suite offers views of Victoria Harbour and Kowloon. Featuring a separate living area, it also includes a stereo system, iPod dock and a coffee machine. The private marble bathroom comes with specially formulated toiletries from Paris. There is an extra guest powder room. 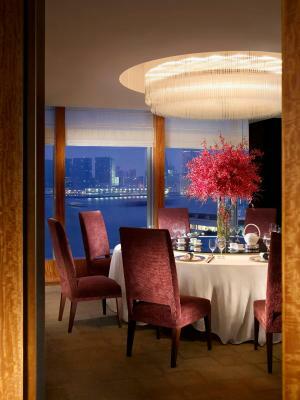 Located on floors 31 to 35, this elegant room enjoys views of Victoria Harbor and Kowloon from large windows. Fitted with high ceilings, it includes a flat-screen TV, iPod dock and a coffee machine. The en suite marble bathroom has a deep soaking bathtub and a separate walk-in rainshower. 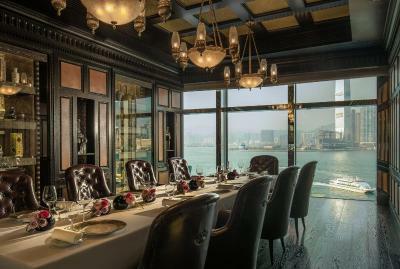 On floors 33-43, this elegant room enjoys views of Victoria Harbour and Kowloon from large windows. Showcasing high ceilings, it includes a flat-screen TV, iPod dock and a coffee machine. The private marble bathroom has a deep soaking bathtub and a separate walk-in rain shower. 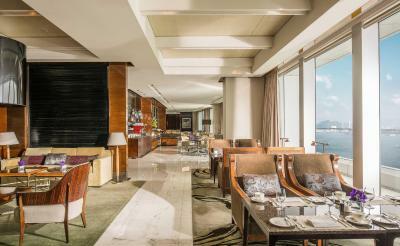 Along with Executive Lounge access, this elegant room offers views of Victoria Harbour and Kowloon from large windows. Featuring high ceilings, it includes a flat-screen TV, iPod dock and a coffee machine. The private marble bathroom has a deep soaking bathtub and a separate walk-in rain shower. This double room features an iPod dock, sitting area and bathrobe. Please note that the room rate only includes Executive Club access for up to 2 guests. Extra charges will apply for additional occupying guests. 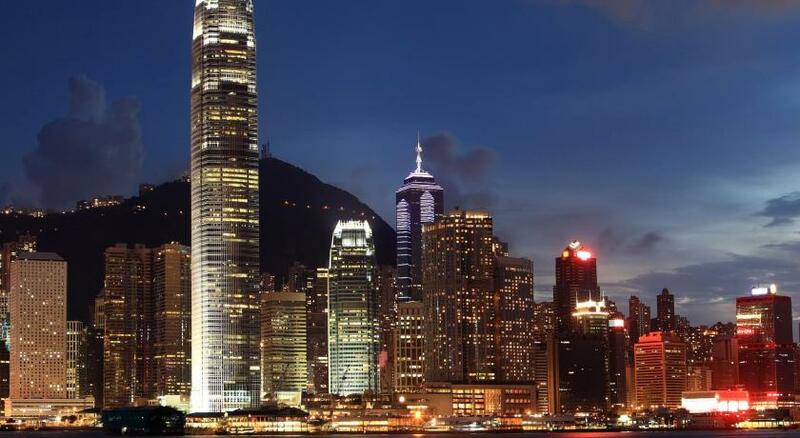 Our Hotel is located centrally in the financial hub of Hong Kong, offering 399 rooms with sweeping views of Victoria Harbour. 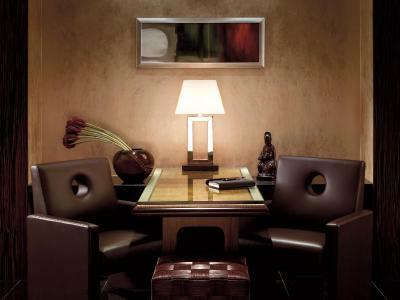 Home to two Michelin starred restaurants and a Forbes 5 star spa, we answer to your every business and leisure need. 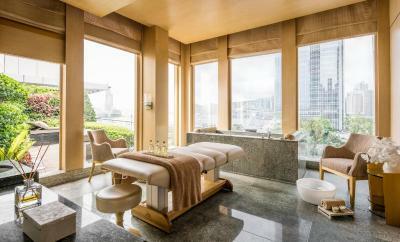 House Rules Four Seasons Hotel Hong Kong takes special requests – add in the next step! One older child or adult is charged HKD 660 per person per night in an extra bed. 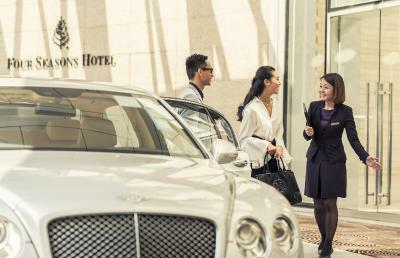 Four Seasons Hotel Hong Kong accepts these cards and reserves the right to temporarily hold an amount prior to arrival. There are no indoor pools. The room was nice and clean. The view was fantastic. Staffs were very professional and had delicate senses. The hotel was very kids-friendly. we are definitely willing to visit again. The view at the pool was extraordinary. I recommend swimming at night~! Bread and cheese selection at breakfast can be a bit more. somebody failed to order the bouquet of flowers for my friend celebrating their 40th wedding anniv. Only after I followed up upon check in did I learn that they missed to deliver my request. but was resolved after urgently placing the order in the flower shop. excellent customer service . everyone is attentive and ready to help with a smile ! I had booked the room three months in advance for our anniversary and requested a nice room. When we arrived we were surprised to be given a room in the lower floors that was small and decor was dark. We requested to change the room and were told they had none available. When i insisted they change it, we were offered three different rooms to choose from. I was only disappointed in the beginning but Im happy that they did offer us other options at the end and it was a lovely room. The location is perfect, for a city/business hotel it had everything you needed as a tourist as well. The staff are helpful and we enjoyed our stay a lot. Everything service was exceptional. Amazing the suite was spectacular. Maybe the mattress was too soft. Otherwise, everything was perfect. Very friendly staff. I arrived at 9:30 am, however; they allowed me to checkin within 40 minutes. This is several hours ahead of usual checkin time. The staff was very helpful whenever I need advice regarding transportation or visiting tourist attractions. The location is perfect to visit a lot of places.